More than five years ago, I boarded a shuttle bus from the Pentagon to Capitol Hill for the first of many briefings to congressional staffers on the Army’s plan to consolidate its cyber institutions at Fort Gordon in Augusta, Georgia. Most staffers were polite, professional, and interested in understanding the rationale of creating an operational command, with the needed intelligence support of National Security Agency - Georgia, and the training arm of a center of excellence. One or two were noticeably concerned over the impact of job losses in their boss’ district. Nearly all made a cute comment about the sensibility in creating a cyber hub around “pokey” Augusta, Georgia. After several rounds of briefings including generals from U.S. Cyber Command and Army Cyber Command and a phone call from the Chief of Staff of the Army (CSA) to a senior senator, Congress accepted the Army’s plan in December 2013. Within a few months, the chief also stated the Army would be a leader in cyber as it assumed additional roles in training the cyber mission force. Since then, the U.S. Army has fully invested in making Fort Gordon, Georgia its cyber home. Meanwhile, some inside and outside of the Army still question the decision and the Army’s ability to lead innovate in cyber because of the decision. The U.S. Army and Augusta are well on the way to validating the decision. The Army was the only service to invest additional personnel authorizations in establishing a Joint Force Headquarters Cyber, a move that has enabled it to be most capable in providing cyberspace operations in support of combatant commands. Despite starting slowly, the Army was the first service to have all of its cyber mission force teams meet full operational capability. Based on the former CSA’s guidance, the Army assumed responsibility for vital roles as the executive agent for the cyber training range and acquisition authority for the persistent cyber training environment. Collectively, the Army has become a leader in cyberspace operations and training. 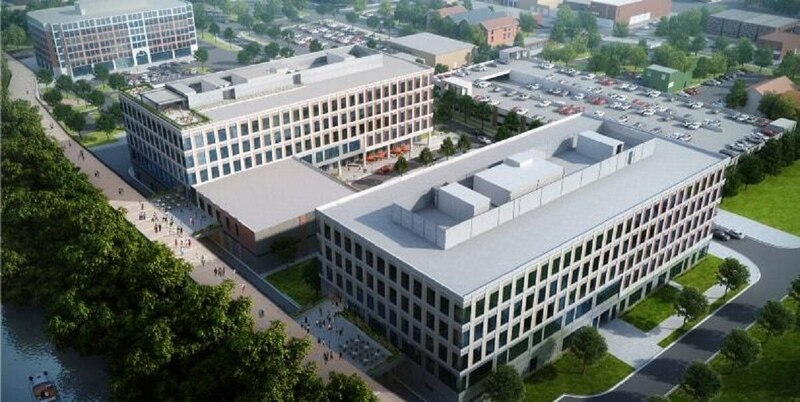 To top it off, the Army has heavily invested in improving the Fort Gordon infrastructure with new facilities for the Army Cyber Command and moving the Cyber Center of Excellence renovations and builds to its top priorities. Partnerships are essential to success in cyberspace operations. Trust is essential to a healthy partnership. The Army needed a trusted partner and has one in the city of Augusta. The Army, the State of Georgia and city of Augusta are cooperating to make Augusta a cyber hub. Yes, “pokey” Augusta, Georgia is poised to be a leader in cyber innovation. Georgia Gov. Nathan Deal established the $100 million Georgia Cyber Center in Augusta with a state-of-the-art cyber range and the Georgia Bureau of investigation crime unit. Meanwhile, the city of Augusta has developed its cyber workforce partly through education and partly, frankly, through former government employees leaving their positions to work for local businesses. Army Cyber Command and the university system of Georgia are cooperating on filling 11,000 cyber jobs statewide. Meanwhile, the Augusta University School of Computer and Cyber Sciences received a grant to develop three of the ten courses for the National Security Agency’s Cybersecurity Core Curriculum Development program. Everything is going Augusta’s way to be a cyber innovation leader. Still, Augusta has its detractors especially those who believe everything cyber needs to be collocated in Silicon Valley. Given how cyber and telecommunication capability close the tyranny of distance, the notion that everything cyber has to be consolidated in one geographic location or innovators only like certain type of weather is right out of the Industrial Age. Augusta won’t replace Silicon Valley as the cyber innovation leader and doesn’t need to replace that or any other area. Just as Israel moved its cyber center from Tel Aviv to Be'er Sheva, so can the Army move its cyber center to Augusta. With all of the job shortages in cyber and the multitude of innovation areas, opportunities abound for Augusta to find its niche. For instance, wherever there are soldiers, there is operational innovation. It is what soldiers do. Given its proximity to Fort Gordon’s cyber operational and intelligence centers, Augusta could partner with the Army and a commercial cyber intelligence provider to develop cyber security tactics, techniques, procedures, and possibly tools. Or, given its cyber range and the Army’s role in cyber training ranges, Augusta could become a leader in cyber training. Surely, local Augustans and its eager investment community have their own great ideas as well. As mentioned previously, partnerships are essential to success in cyberspace operations. The CSA’s guidance to the Army was to be “a” leader in cyber. Augusta can be “a” leader in cyber. Neither have to be “the” leader in cyber because the space is too large and too diverse to have one leader. Together, the Army and Augusta will be great partners to lead cyber innovation in the areas they choose together. Carm Cicalese is a retired Army colonel who served 29 years on active duty, including the last four years as the U.S. Army Cyberspace and Information Operations Division Chief for the Army Staff.